The Open Space Framework fosters a walking and cycling environment toward the health and wellness of the University and Brandon community. The Open Space Framework plays an integral role in the building campus identity and in defining the University as a welcoming and desirable place to be. Most notable campuses around the world are typically renown for their impressive landscapes. 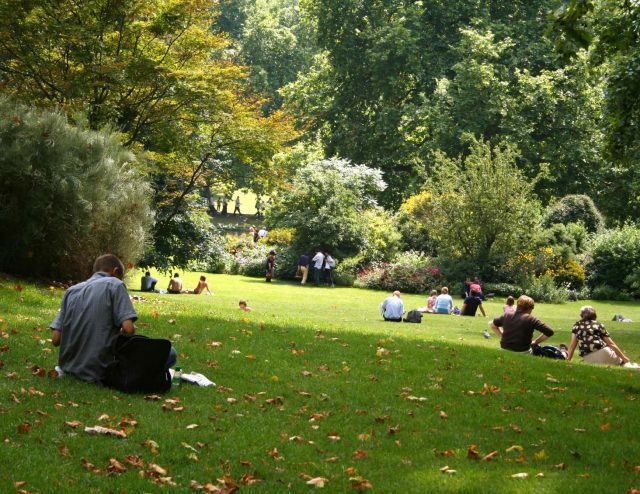 One of the top considerations for choosing a University over the past decade has been the beauty and attractiveness of the campus, and the quality of the public realm – the open spaces and landscapes – regardless of whether the University is situated in a cold region. The Plan seeks to achieve a seamless relationship between buildings and open spaces which work together to create a high quality, attractive, and functioning environment for the University. The Open Space Framework for Brandon University is intended to provide a clear and flexible structure of existing and new open spaces to meet a variety of social and recreational needs, and to elevate the quality, attractiveness, and comfort of the Campus. The Framework constitutes all aspects of the public realm, including a diversity of open spaces, recreational spaces, pathways, pedestrian corridors, linkages, and streets. It provides the context for the built form and takes into consideration the treatment of internal open spaces and their relationship to the external environment. Redefining and revitalizing some of the elements of the Campus’ original design and open space assets that have been eroded over time. This includes: redefining the central green spine as a major north south pedestrian connector; enhancing and in some cases redesigning three significant major open spaces – the forest, the plaza, and the quad – that function as the formal front forecourts to the University’s first buildings (along its east face). Creating a formal quad and plaza that serves as the ceremonial heart of the Campus, and functions to accommodate major activities and events. Enhancing all of the existing courtyard open spaces so that they are useful, purposeful, and accessible spaces. Enhancing the field as an accessible open space, and as the main recreational field for a variety of University and community events. Creating two new significant plaza spaces, one of which completes the southern “leg” of the green spine and creates a new public place for the South Campus Quadrant. The other completes the beginnings of the eastwest plaza fronting the George T. Richardson Centre, extending the plaza west to 20th Street and east to terminate at the Knowles-Douglas Student’s Union Centre. Enhancing the Campus’ streets as pedestrian oriented places, multi-modal circulation corridors, and linkages to the community. Enhancing the Campus’ interface to the community by redefining the landscape and character of the open space to create a more visually and physically welcoming face to the Campus. There needs to be a cohesiveness to the landscape that contributes to a strong campus identity and a distinct and recognizable character of place. Lighting can be used to elevate and enhance the quality and character of space by providing attractive architectural or artistic design form during the daytime, and a variety of ambiance levels during the night time. Art provides opportunities to create a unique environment and enhance the quality and experience of the public realm. Designing for winter helps to animate the campus during the winter months, which are the busiest periods of the academic year for the University.